Amazing garden design Charleston SC! Charleston Plantworks garden design means amazing curb appeal and beautiful scenes in your yard. Our garden designs feature LED landscape lighting, water features, bluestone walkways, hardscapes, seasonal flowers & fragrant plants. Garden design plans include colorful and fragrant plants and flowers. Favorite Charleston Plantworks selections include jasmine, lavender, stargazer lilies, tea olives, camellias, hydrangea, and lantana. Personalized nursery tours are available for customers. Our experienced landscapers will help you select the highest quality plants and flowers for your gardens, flower beds and landscape planters. The first step creating beautiful gardens is soil conditioning to ensure long lasting and disease resistant plants and flowers. Next, our landscapers artfully install your plants and flowers in garden beds, planters and containers. Garden design by Charleston Plantworks offers a perfect blend of colors, shapes and sizes. For the final step we install mulch and landscape rock to hold moisture and provide a polished look. Please see our irrigation systems to keep your garden beautiful with a minimum of effort! One specialty garden design area is small courtyard gardens in historic Charleston, SC. Our garden design transforms these areas into larger than life, enjoyable outdoor spaces. We offer specialty materials such as “100 Year Old Charleston Brick” that matches historic Charleston architecture. Another specialty garden design area is raised vegetable and herb gardens. Let Charleston Plantworks create an organic, edible garden for your family! 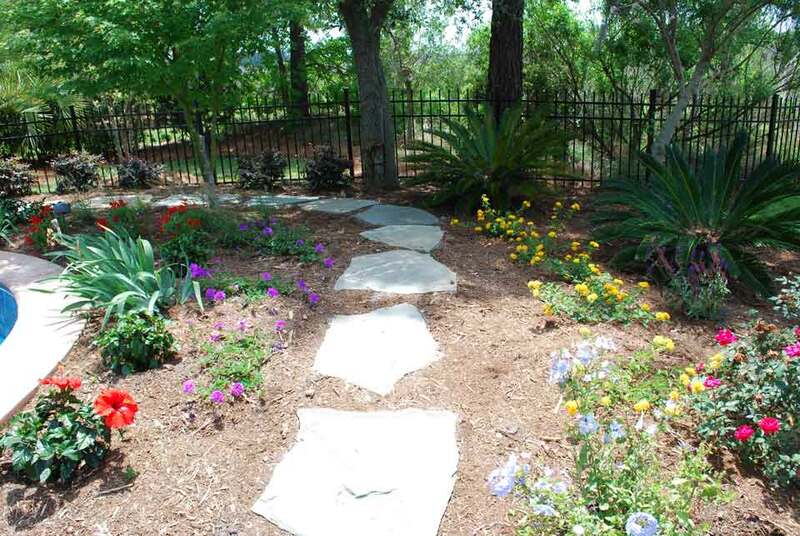 View all of our exceptional Charleston landscaping services. Call (843) 579-1033 or email info@charlestonplantworks.com for exceptional gardens in your yard. "Stephen and his crew are MUCH more knowledgeable and skilled than the other landscape contractors I've hired. Definitely recommend these guys -- you'll be pleased with their work."